The time has come to choose the location for your wedding and you want to pick the perfect wedding venue but you’re working on a budget. Here at Waterside Events Currumbin, we’ve got some tips to help you save money on your big day so you don’t have to compromise on choosing your wedding venue. The most expensive part of a wedding reception is the amount you pay for your guests at your reception. Generally, the nicer the venue the more it’s going to cost you per guest. Keeping the number of guests down is a great way to save yourself some money and ensure you can still have the wedding venue of your dreams. Try and limit the reception to close family and friends, you don’t need to invite that cousin you haven’t seen in fifteen years! 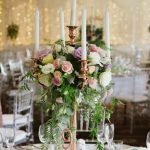 Another way to keep down the cost of your wedding is to have a non-traditional wedding reception, such as a cocktail reception. Cocktail receptions are becoming increasingly popular as they allow guests to mingle more and often offer a more varied selection of food, which will make it much easier to keep all your guests happy. Here at Waterside Events Currumbin, we have cocktail packages that start at $28 per guest. Another way to save yourself some money is to not have a DJ. Wedding DJ’s are expensive and experiences with them are always mixed. A cheaper alternative is to hire a jukebox for your wedding day, that way your guests can pick the music they would like to hear. If you want to save yourself a lot of money, skip the DJ and the jukebox all together and look after the music yourself. Majority of function rooms have audio visual equipment, or at the very least in-room speakers. Our function rooms at Waterside Events have state of the art AV equipment. All you need to do is create a playlist for the day and plug in your phone or lap top and that’s the music for your wedding done, and it didn’t cost a cent. Another way to save yourself some money is to skip the photo booth. If this is something you really want at your wedding why not put it together yourself? All you need is a blank section of wall at your reception venue, a camera (why not make it fun and get a vintage Polaroid camera) and a box of props, then let your guests take photos themselves. Your guests will have a blast goofing around with the camera and you’ll save yourself hundreds of dollars. Another sneaky way to save yourself some money is to limit the length of your drinks package. Not only will a shorter drinks package save you money, it will ensure your guests haven’t over indulged before you arrive. Cutting the drinks package an hour, or even half an hour before your room hire ends will also ensure you don’t get stuck with extra room hire fees because your guests were still drinking and didn’t want to leave. If you’re on a really tight budget, perhaps consider skipping the drinks package all together and have a cash bar, that way your guests can pay for alcoholic beverages if they want them. Our dedicated function team at Waterside Events are here to tailor your special day to your individual needs and make sure it’s everything you dreamed it would be! Why not have a chat to our team and see if the beautiful function rooms at Waterside Events Currumbin are the right fit for your wedding and your budget? Contact Us, today!